The Academy has already announced the performers for this year and today they announced the first group of presenters, so it’s time to begin the annual tradition of updating the list of presenters and performers you can expect at the 2015 Academy Awards on Sunday, February 22. We already know Neil Patrick Harris will be hosting the festivities, hosting for the first time. Additionally, the Oscar-winning songwriting team from Frozen, Kristen Anderson-Lopez and Robert Lopez, are writing an original multimedia, musical sequence to be titled “Moving Pictures,” for Harris to perform as the show’s opening number. 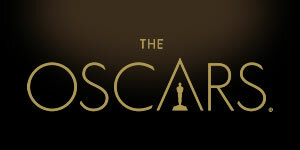 Prior to the Oscar telecast, it was previously announced Margot Robbie and Miles Teller will host the Academy of Motion Picture Arts and Sciences’ Scientific and Technical Awards Presentation on Saturday, February 7. As always, I will be updating the list as new names are announced and for a complete list of nominees click here.